Eyeshine Rendering: A Real Time Rendering Method for Realistic Animal Eyes - Visual Computing Lab. 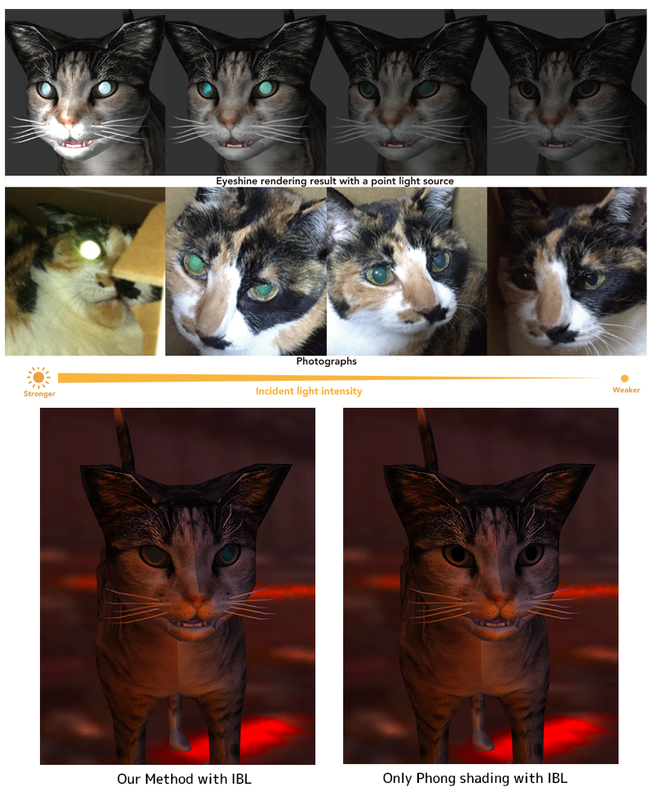 We propose a real-time rendering method considering tapetum lucidum reflection. We aim to establish a technique to express the eyeshine of animals more realistically.